But the safety driver might face criminal charges. On March 18, an Uber in self-driving mode struck and killed a pedestrian in Tempe, Arizona. Uber reached a settlement with the pedestrian’s family within weeks, but there was still a lingering chance the company could face criminal charges for her death. Now, it doesn’t seem like that will happen. 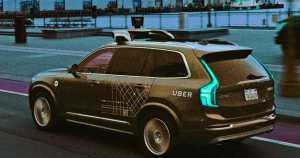 On Tuesday, prosecutors said they found “no basis for criminal liability” for Uber — possibly setting a precedent for future litigation involving autonomous vehicles. Tempe is in Maricopa County, but because the county had an existing relationship with Uber, the Maricopa County Attorney’s Office (MCAO) asked the Yavapai County Attorney’s Office (YCAO) to review the case to avoid any conflict of interest. On Tuesday, the YCAO made public a letter it sent to the MCAO. Uber could still be forced to pay damages through a civil lawsuit, however, according to NPR . Uber itself might not be criminally liable for the pedestrian fatality, but Rafaela Vasquez — the Uber safety driver who police say was watching a television show on her phone around the time of the accident — might be. According to a police report obtained by Reuters in June, Vasquez could face a charge of vehicle manslaughter for her involvement in the accident. Self-driving cars are still in their technological infancy, and perfecting the tech behind them is just one hurdle to mainstream adoption — society will also need to address a host of related issues, including determining who’s liable if a self-driving car is involved in an accident. Given that Uber still relies on safety drivers to prevent accidents like the one that took place last year, it’s not hard to see why prosecutors might choose to press criminal charges against the driver and not the company. But one day there likely won’t be a driver behind the wheel. Would Uber have been criminally liable if that had been the case? And what if a company’s self-driving car relies on tech created by another company — do they share responsibility for any accidents? Right now, there are far more questions about self-driving cars than answers, so there’s a chance the ultimate legal outcome of this first fatality involving an autonomous vehicle could shape how we respond to future cases when they almost inevitably crop up.